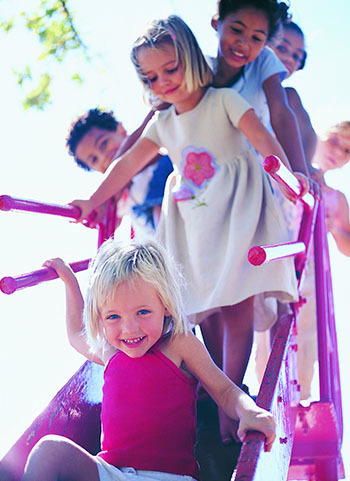 Our patients receive comprehensive, state-of-the-art care in a warm, child-friendly environment. Our team includes pediatric sleep medicine specialist, pediatric nurse practioner, pediatric nurse, registered polysomnography technologists and respiratory care practioner, clinical sleep educator. The division coordinates the initial consultation, diagnostic testing, therapeutic intervention and follow-up for all sleep disorders, from infancy through adolescence. When a sleep problem is associated with a secondary condition, our specialists work with experts from other divisions to develop a comprehensive care plan for your child. Pediatric sleep clinic has a multidisciplinary team approach, works in conjunction with other pediatric subspecialties including otolaryngology, gastroenterology craniofacial, genetics, neurodevelopmental, neurology, neurosurgery, child psychology, behavioral pediatrics, dentistry, orthodontia and nutritionist. We see children with sleep problems that complicate other medical disorders, including prematurity, Chronic lung disease, asthma, allergic rhinitis, sickle cell, genetic (Down’s syndrome and others ), gastroesophageal reflux disease (GERD), craniofacial disorders, obesity , neuromuscular disorders etc. We offer consultation, testing and treatment for sleep disorders that affect babies, children and young people up to age 18. Children who require respiratory support with continuous positive airway pressure (CPAP), bilevel positive airway pressure (BiPAP), oxygen therapy, and high flow nasal cannula therapy. Sleep phase (circadian rhythm) disorders. Circadian rhythm disorders are disruptions in your child’s regular daily cycles, including sleeping and waking. Sleep-related movement disorders – Restless leg syndrome, period limb movement disorder of sleep, body rocking, and head banging. Difficulties to go to sleep, night time awakenings. We evaluate and treat for potential organic causes, such as restless syndrome or obstructive sleep apnea and work with other subspecialties. If you would like a referral to the Pediatric Sleep Medicine Program, you may discuss with your primary care provider. Your child’s sleep evaluation starts with a clinic visit with a board-certified sleep medicine specialist.